DoubleTree by Hilton Manchester Downtown is across from the Verizon Wireless Arena and 3 blocks from the Merrimack River. Manchester-Boston Regional Airport is 4.5 miles away. 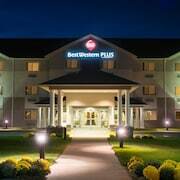 Situated near the airport, this hotel is 0.5 mi (0.8 km) from Anheuser-Busch Brewery and 1.4 mi (2.3 km) from Merrimack Premium Outlets. Greeley Park and Florence Hyde Speare Memorial Museum are also within 6 mi (10 km). 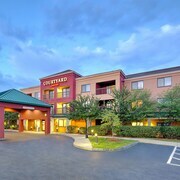 Situated in Salem, this hotel is 1 mi (1.7 km) from Canobie Lake Park and 1.3 mi (2.2 km) from Canobie Lake Park. Rockingham Park and The Mall at Rockingham Park are also within 2 mi (3 km). 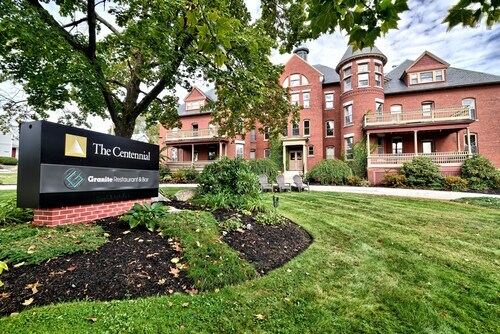 Located in the heart of Manchester, this hotel is 1.2 mi (1.9 km) from University of New Hampshire-Manchester and 1.7 mi (2.7 km) from Southern New Hampshire University Arena. City Hall Plaza and Saint Joseph Cathedral are also within 2 mi (3 km). Situated in Manchester, this hotel is within 1 mi (2 km) of Northeast Delta Dental Stadium and Southern New Hampshire University Arena. Millyard Museum and SEE Science Center are also within 1 mi (2 km). Situated in Nashua, this motel is 1.1 mi (1.7 km) from Pheasant Lane Mall and within 6 mi (10 km) of Green Meadow Golf Club and Butterfly Place. Mine Falls Park and The Cove are also within 6 mi (10 km). 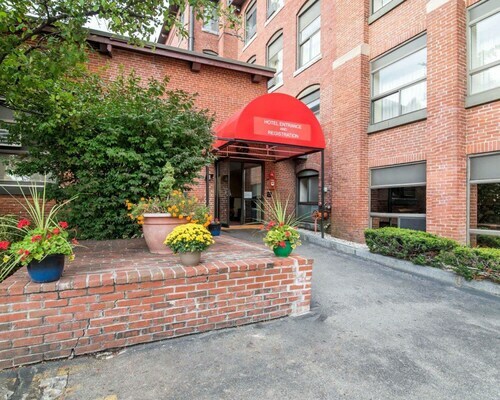 Situated near the airport, this luxury hotel is within 6 mi (10 km) of Saint Anselm College, Mall of New Hampshire, and Southern New Hampshire University Arena. Northeast Delta Dental Stadium and Millyard Museum are also within 6 mi (10 km). 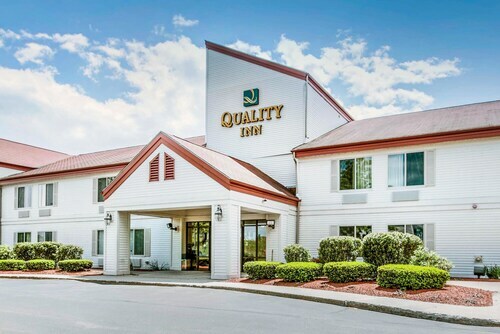 Situated in Loudon, this motel is 2.9 mi (4.7 km) from New Hampshire International Speedway and within 12 mi (20 km) of New Hampshire State House and Capitol Center for the Arts. Bank of New Hampshire Pavilion at Meadowbrook is 21.4 mi (34.5 km) away. How Much is a Hotel Room in Manchester? Hotels in Manchester start at $64 per night. Prices and availability subject to change. Additional terms may apply. When it's time to choose where to spend the night while visiting Manchester, Travelocity offers an extensive range inspiring alternatives. Travelocity's comprehensive database is a great place to discover 21 hotels within a 6-mile (10-kilometer) distance of Manchester's downtown precinct. 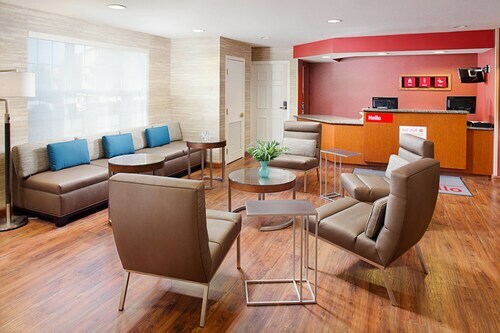 Astute visitors who have experienced the countless benefits of booking a hotel close to the action can browse through the Hilton Garden Inn Manchester Downtown and Radisson Hotel Manchester Downtown, all of which are situated within 0.6 miles (1 kilometer) of Manchester's downtown area. Merrimack is a pocket of the city that is home to 3 Travelocity-listed hotels, making it the neighborhood with the greatest selection of Manchester hotels. The Residences at Daniel Webster and Holiday Inn Express & Suites Merrimack are amongst the Travelocity-listed hotel options in and around Merrimack. Some other accommodation spots in Manchester are Concord, Nashua and Salem. The Centennial and Residence Inn by Marriott Concord currently have vacancies listed in Concord. 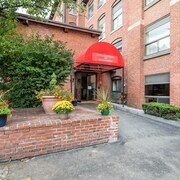 While in Nashua, you'll find some excellent rooms at the Holiday Inn Hotel & Suites Nashua and Radisson Hotel Nashua. In Salem choose between Holiday Inn Salem - I-93 at Exit 2 and La Quinta Inn & Suites Salem. Families, students and shoe-string travelers will find some lovely Manchester lodging options that won't break the bank. The Best Western Concord Inn & Suites is 14 miles (22 kilometers) from the center of Manchester, while the TownePlace Suites by Marriott Manchester is 3 miles (5 kilometers) away. Other Manchester hotels in the lower price range include the Quality Inn and the Radisson Hotel Nashua. 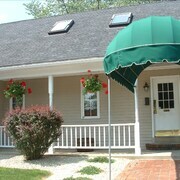 3 miles (5 kilometers) from the middle of Manchester, you will find the The Bedford Village Inn. The Crowne Plaza Nashua is positioned 14 miles (23 kilometers) away. 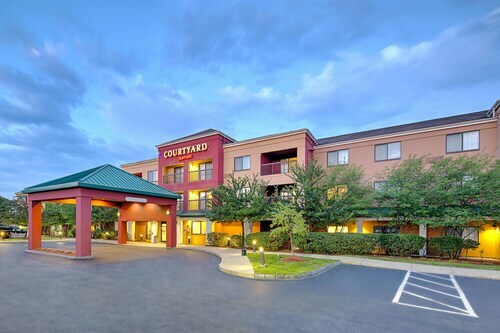 Other hotel options in the Manchester area include the Courtyard Marriott Grappone along with the Holiday Inn Concord Downtown. When you are wanting to discover some more of the valleys and rolling hills that are typical in this area of United States of America, you should plan a few nights in other places in Southern New Hampshire. Go hiking and horse riding or enjoy some of the area's intriguing cultural and scenic sights. Many Travelocity-registered hotel accommodations are on offer. Are you looking for activities? Consider spending a day or two enjoying Seacoast Science Center and Rye Harbor State Park, which you'll find in Rye, 35 miles (57 kilometers) to the east of Manchester. If you want to spend a few nights in Rye, be sure to check out the Wrens Nest Inn and Quality Inn. Or, you could consider staying in New Castle, 40 miles (61 kilometers) to the east of Manchester, where you can choose between the Wentworth by the Sea, A Marriott Hotel & Spa and Sheraton Portsmouth Harborside Hotel. If you come to New Castle, be sure to check out the Fort Constitution Historical Site and Fort Stark State Historic Site. Manchester-Boston Regional Airport is a practical airport, and is found 5 miles (7 kilometers) outside downtown Manchester. Conveniently located hotels are Homewood Suites by Hilton Manchester/Airport and Holiday Inn Manchester Airport. Everything was great! Even called my room to make sure everything was satisfactory. Room was very stale smelling! Was designated a non smoking room but definitely had a smoking smell. Difficult to find. In a busy part of the city, but off the main road. Room was Nice, Pool and spa area were clean and comfortable. Breakfast was excellent, great assortment for foods to choose from. Will definitely stay here again. Excellent service, very helpful will my shuttle connection to the airport. Really cool old building. Rooms were spacious and the staff was welcoming. Breakfast was yummy! Can't say enough about this place!